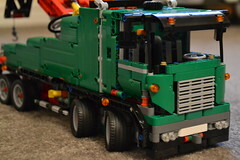 Well after buying my first Lego Technics model back in January (http://bonxy.info/?p=16269) I decided it was time to invest in a bigger one. 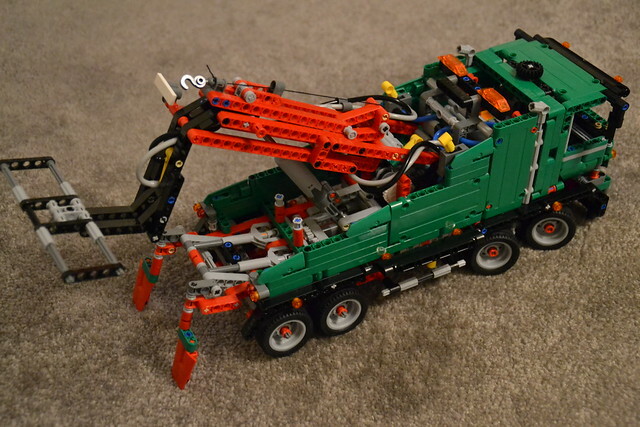 My birthday wasn’t far out so I decided to go for the Lego HGV Tow Truck (42008). This one unlike the other was fully motorized with hydraulic T-bar and boom including winch. It also had rear stabilizer legs for picking up heavy loads. This one was far more complex that the first one and the main gearbox to control everything was a lot more complicated and fiddly. 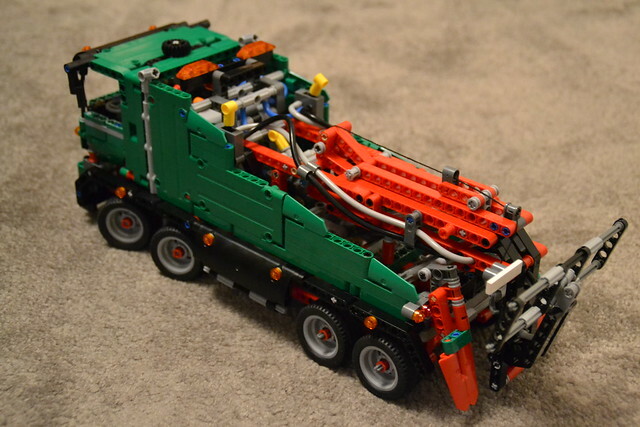 Once the engine and the gearbox was built it went quite easy from there. In total I think it was a 1500 piece set and took around about 5 / 6 hours to complete. The final thing was better than the last. Quite a lot bigger than my first and worked brilliantly. The turning twin axle wheels on the front was a nice touch as was the covers / doors that go over the selectors on the side of the wagon. The extendible boom on the back of the wagon reaches out far enough to go past the T-bar when it is in its up right position. There is a piston behind the cab which spins to compress the air to control the pneumatics which allow the T-bar to go up and down. Another really enjoyable build and an amazing bit of kit when finished. 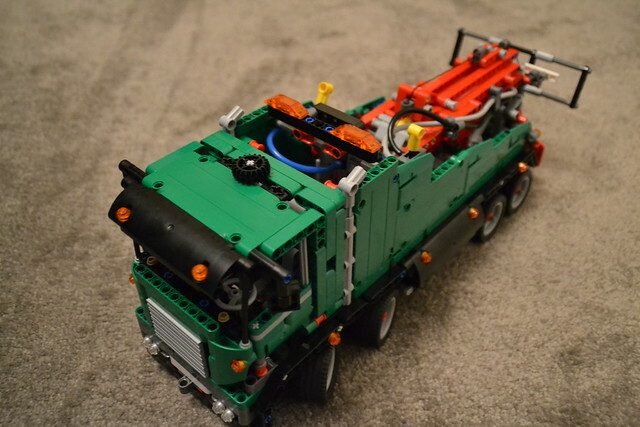 You can find more pictures of the Tow Truck on my FlickR account here: http://www.flickr.com/photos/bonx/sets/72157636517219495/. This one will probably now be stripped down and sold to fund the next build.